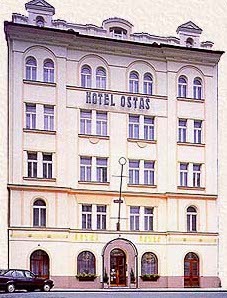 Our hotel is located near the historical centre of Prague - approx. 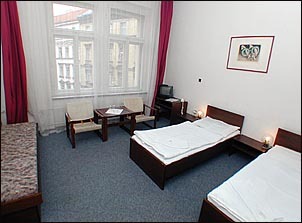 10 minutes walk from both the edge of the Old Town and the Main Train Station (Hlavni nadrazi) and 5 minutes from the Main Bus Station (Praha-Florenc). 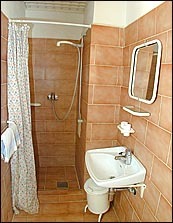 All rooms are equipped with private bathroom and toilet, TV set and radio. 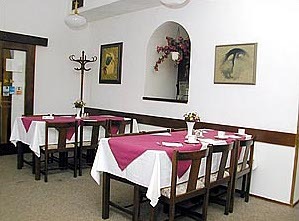 We invite you to sample our tasty international cuisine, Pilsner Urquell and Budweiser beers and ostas Moravian Wines in our pleasant hotel restaurant. 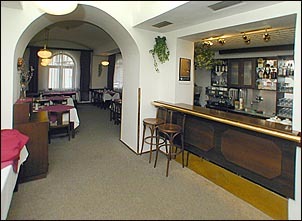 Hotel Ostas further offers : all-day restaurant, bar, refreshments on the terrace, lift. All prices include breakfast and all taxes. 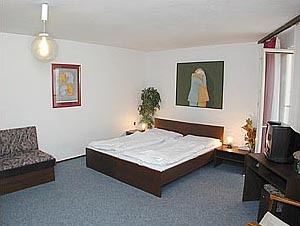 Children - under 6 years free of charge, 6 - 10 years 50 % discount. 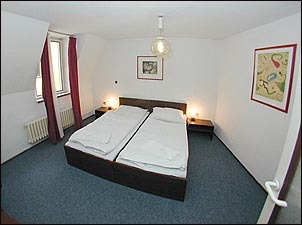 Possibility of discount for groups from 10 persons.